Pink frothy sputum is a kind of symptom associated with many lung diseases and it is the most common symptom of pulmonary edema. Patient feel suffocation and drowning. Patient may have wheezing and gasping while respiration. Patient feel restlessness and a sense of apprehension. 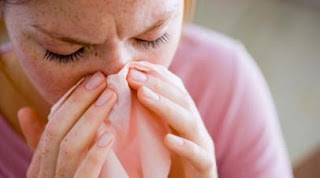 Patient coughing along with these symptoms have frothy sputum which may also contains blood. All this occur in pulmonary edema in which the water fills up in lungs and results in chest congestion along with pink frothy sputum. The sputum is basically the fluid present in the air sacs and parenchyma cells. The main cause reported behind the pink frothy sputum is the accumulation of fluid or water build up in the air sacs and the parenchyma cells. This fluid cause congestion and difficulty in breathing. This accumulation of fluid may occur due to the failed working of left ventricle of heart which leads to the improper blood removal from pulmonary circulation. This may also occur due to the traumatic injury to the parenchyma cells of lungs. Vasculature of lung is also involved in the causes behind pulmonary edema which ultimately leads to pink frothy sputum. The pink frothy sputum itself is a symptom of many diseases like pulmonary edema. The other symptoms associated with it are: the patient feel difficulty in breathing. Sometimes the frothy sputum comes up with blood which shows the severity of the condition of lungs. Patient heavily sweat along with pale skin and psychological anxiety. Sometimes the patient undergo shortness of breath and sometimes pulse get low with deep breathing. Patient cannot lie down straight on bed or floor because he can’t breathe properly in this condition and also this position initiate’s cough with blood known as pink frothy sputum. Patient with pulmonary edema undergo pink frothy sputum. In pulmonary edema, the fluid accumulates in the air sacs i.e. alveoli and in the parenchyma cells of lungs. This fluid accumulation may occur due to the failure of working of the left ventricle of heart. This failure of left ventricle leads to the improper filtering of blood with deoxygenated blood and as a result cardiac arrest may occur due to heart failure. When heart fails automatically the pulmonary failure also occurs due to the inappropriate supply of blood to the lungs and at last death of patient. As pink frothy sputum i.e. sputum with cough is a main symptom associated with pulmonary edema. This pulmonary edema should be treated 1st to treat the pink frothy sputum. The pulmonary edema is of two type’s i.e. cardiogenic and non-cardiogenic pulmonary edema. Treatment for both of the pulmonary edema is different. In cardiogenic pulmonary edema the patient is on medicines like furosemide or bumetanide which are the loop diuretics. Morphine and diamorphine are also prescribed to reduce respiratory distress. Other than loop diuretics and morphine, some vasodilators may be used like glyceryl trinitrate.